Bill has been a resident of Montgomery since 1985. He has extensive experience in the real estate, insurance and the financial services business. He is married to Conitha King and they have one son, Brandon King who attended St. James and is now married to Jenna and also lives in Montgomery. Bill helped coach youth baseball and has been active in many community activities. 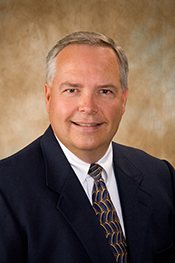 Bill has experience in resales as well as new home construction from the ground up. He has great relationships with great builders and loves to help you plan the construction of your dream home. If you are looking for land, Bill can help you with that as well, from helping you find that special place to build or that getaway to relax or hunt. Give Bill a call, as he can be a great help with your real estate needs.